The corporate Scrooge rears its head when employees at almost half of the companies in UK are forced to dip into their pockets to pay for their own parties. 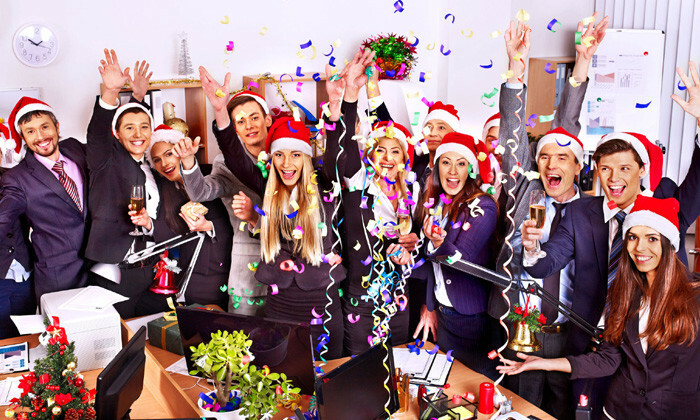 According to a survey of 1000 businesses conducted by 3gem on behalf of BE Offices, 48.5% of respondents polled said that they had to pay for their own Christmas party, even if it was a company organised event. Worse still, of that total, 22.1% had to make their own arrangements while 16.5% reported having to pay for company organised celebrations. On the brighter side, 30% of respondents said their companies fully funded the Christmas parties. Additionally, it found that most companies made an effort to get into the Christmas spirit with 63.7% of respondents saying their workplaces were reasonably festive including 10.5% who stated that they have a full on “Santa Land” approach, with London and Bristol leading the way at approximately 16%. Even so, 8.3% reported a “Bah Humbug” approach to the festivities, with no decorations adorning their workplaces. A widespread tradition of such parties is the “Secret Santa” gifting among staff which is still alive and well despite over 44% of companies not encouraging the idea. Almost half of those surveyed said cash limits for Secret Santa presents were between £5 and £15 although the quality of gifts varied enormously. In a transparent global pay equity review, Citi has set hard targets around gender diversity and representation at the top level. ..